Watch Official Trailer for "Bolden"
Quote Reply Topic: Watch Official Trailer for "Bolden"
To say that trumpeter Buddy Bolden (1877-1931) is a legendary figure in jazz is to be guilty of understatement, but in his case the weight of legend far exceeds that of historical fact. According to tradition, he can justifiably be called the inventor of jazz, and yet no one can say exactly when or how he invented it. That he was committed to an insane asylum in 1907, where he remained for the rest of his life, adds further mysterious allure to his story. A fine subject for a movie, you might say, except that there’s never been one—until now. Bolden, a dramatic film directed by Dan Pritzker, will premiere in theaters nationwide on May 3. 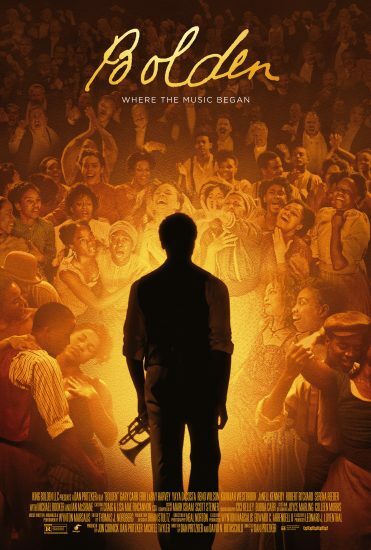 Set in early-1900s New Orleans and starring Gary Carr, Yaya DaCosta, Reno Wilson, Erik LaRay Harvey, and Ian McShane, the film also features music written, arranged, and performed by another great trumpeter from Louisiana, Wynton Marsalis. See the trailer above for a taste of the finished product.